The so-called 'super blood wolf moon', a total lunar eclipse, is due to take place in the evening of January 20 and early January 21. It is expected to last a total of 62 minutes, and will be visible to people around the world, but especially those in North America. People across the globe "should certainly take heed" when a total lunar eclipse like a super blood wolf moon takes place in the next few days, according to Israeli Rabbi Yekutiel Fish. He claimed that the eclipse is the sign of the coming end of days and the Messiah coming to Earth. The Rabbi described the eclipse as a message for the US and the Jews, something that he argued "clearly tells the Jews that they need to come to Israel". "According to the prophets, the end of days will signal the end of the kingdom of Edom. This is the period we are entering now," he claimed. He went further by predicting "great tragedies that will bring down governments and great human suffering" which Rabbi Fish said can be avoided or tackled by people's drive to stick to God's will. "Anyone who is not Jewish can do God’s will wherever he is. For the Jews who are still in the exile, the only way they can avoid tragedy is by coming to Israel. If any Jew was waiting for the last moment before leaving, this is it," the Rabbi concluded. 'Sun Turned Into Darkness': Will 'Super Wolf Blood Moon' Prove to Be Horrendous Armageddon Sign? 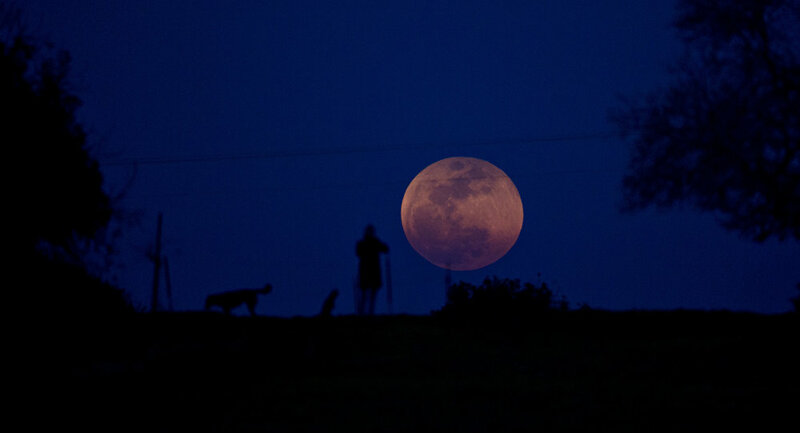 'Wolf moon" is the folk name for a moon that happens in the month of January. During the eclipse, the moon will travel through Earth's shadow, which will result in the perfect line-up of the sun, moon and Earth, making the moon appear blood red. It will also be a 'supermoon', as the Earth's satellite will be at a place on the horizon where it appears bigger than usual. Super blood wolf moons are rare, they appear only 28 times in a century; the event will be visible all across the world in the evening of January 20 and early January 21.